Maintenance is very important when it comes to a car. 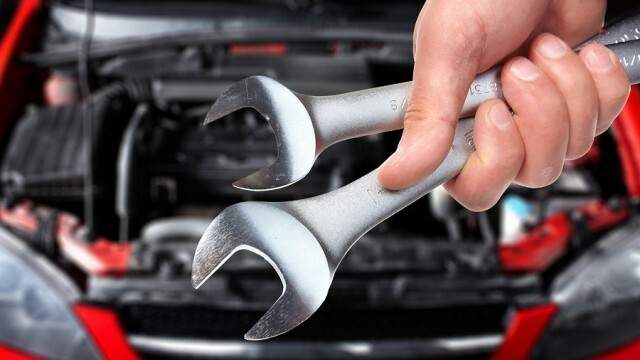 Regular car maintenance can make your car perform well for a long period of time. Prevention is better than cure, you can easily avoid major repair costs by simply giving your car some time. Performing these simple tips on your car can help ensure safety as well. You can perform these maintenance checks yourself or go to the nearest service station for assistance. You can also ask a friend to help you out in these essential car maintenance tips. The car engine oil is very important for maintenance. Consider it to be the blood of the car. The engine oil helps to reduce friction in the moving parts of the engine and it helps to disperse heat. It acts as a sealant between the piston rings and cylinder walls, preventing combustion pressure from escaping. Engine oil also helps to act as a rust proofing agent. In order to make sure your engine does not knock or get damaged, it is always advised to check the engine oil levels regularly. Make sure the oil is at the full mark indicated on the engine oil level checking stick. It is recommended by car maintenance tips to check the engine oil levels at least once a week. Maintenance of car tires is important especially to ensure safety measures. Tire pressure and tire condition should be checked on a regular basis. Experts suggest that a car tire pressure should be checked at every 10 degrees drop or rise in temperature. You need to make sure you get your tires checked seasonally too. Make sure your tires are good enough to last you the winters. If you notice abnormal wear of your car tire, then get its suspension and alignment checked. Poor alignment can cause the tire to wear off unevenly. Once you notice that the depth of the tire tread is less than 1.6mm, make sure you get it changed. Regularly check the power steering oil and make sure it is filled to capacity. You can consult the car’s owner’s manual to check where the reservoir indicator indicates ideal level. Make sure you use the recommended oil to top up the power steering fluid reservoir. Make sure you don’t over full the reservoir. In case the reservoir level keeps dropping regularly, make sure you check for leaks. The car battery is an important component of the car’s electrical system. A faulty car battery means your car won’t start. If you have an automatic transmission car, then you have got problem. Always make sure you check the terminals of the car battery. Make sure they are tight. It is important to check the acid level in the battery. Make sure you check it at least once a month. Use distilled water to top up the acid level in the car battery. Consider replacing the battery after about 3 or 4 years. Checking the electrical components can save you from a lot of extra cost. Lack of proper electrical component maintenance can cause fire due to short circuiting. Also check the power windows and the horn of the car. You can consult a car electrician in case of problems that doesn’t not solve by Car Maintenance Tips. Make sure you regularly check the transmission oil levels. The transmission should not be discolored or burnt. Make sure you check the car’s owner manual to check the type of transmission oil recommended. Check for leaks in case the transmission oil reduces too quickly. Regularly check the level of water in the car’s radiator. It is always good to keep an eye on the temperature gauge while driving as well. Inspect the cooling system of the car while the engine is cold. Do not remove the radiator cap when the engine is hot. It is recommended to check the level of water in the radiator at least once in two weeks. In case the water levels go low, check the radiator for leaks. Brakes that make a squeaky noise, grind or vibrate indicate that they need replacement. That don’t respond well can cause serious damage or accidents. It is also a good idea to check the brake fluid of the car. Apply car wax and polish on the car paint to avoid scratch marks. Always use a clean micro-fiber cloth to wipe the dirt off from your car. Do not use a dry cloth to rub of mud or bird dropping as it can scratch the paint of the car. After washing the car, you should wax it to give it a better shine. Maintaining the paint of your car would help you sell your car at a good price. Appearance plays a major part when selling your car. The suspension is a very important part of a car. A bad or faulty suspension could lead to accidents which could be deadly. Worn out suspension affects stopping distance, it increases it up to 20%. Leaky shock absorbers mean your car would jump into a pot hole and make a lot of noise. Faulty suspension also adds to the wear and tear of the car tires. Car Maintenance Tips is important if you want to cut costs on buying spare parts and mechanical repairs. Following these simple tips can add years to the life of your car.